Philippine Fashion Week 2014: Forever 21 is Back! Philippine Fashion Week is something that every woman in Manila looks forward to. After all, new trends, new friends and a whole lot of fun are things that one can always look forward to during this fashion-filled week. 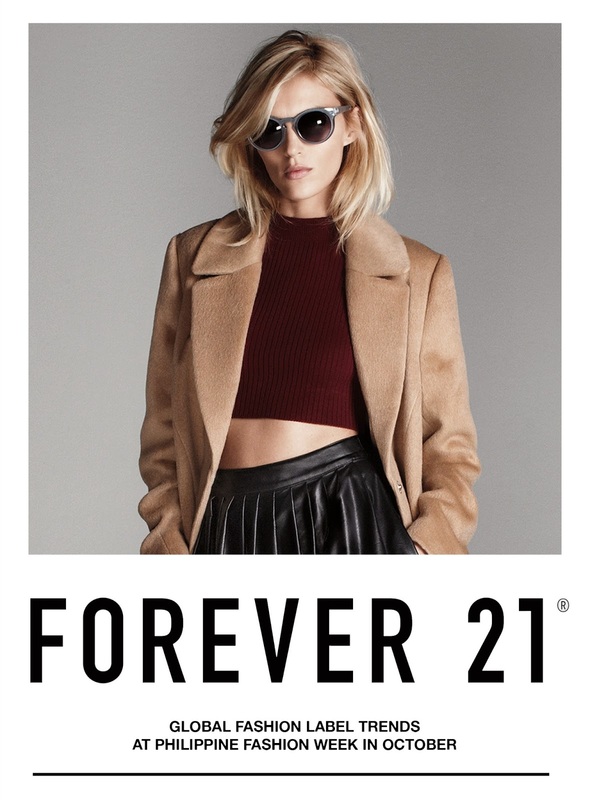 I am especially excited for this Friday, though, because Forever 21 - one of my forever-favorite stores (I've blogged about them several times - see links below) - is joining Philippine Fashion Week this October 24 at SMX Convention Center. Jump Over the Moon for Me.